I am looking at the references to Spinoza made by Christiaan Huygens, coming to them with the expectation that they would reveal a general disparagement of the man, either in terms of his optical knowledge, or in terms of his person, for these letters have been characterized as proof of a certain diminishment Spinoza had suffered in the minds of those who came to know him. I quote below two sources that typify this kind of conclusion. While Petry finds in these letters clear evidence for an accumulation of doubt as to Spinoza’s capacities as an optical thinker, the relegation of him to simply that of an excellent craftsman, Nadler acknowledging that although Spinoza’s instrument achievements were much respected, strongly suggests that he was seen merely as a “Jew”, or perjoratively as “our Israelite”. The picture that is left by these writers and others is that somehow Spinoza was seen in a poor intellectual and ethnic light by the Huygnses. In looking at these letters, this simply does not seem to be the case. Firstly, Nadler’s implied characterization that in these letters Spinoza is ONLY the Jew or Israelite does not hold. He is also “Le Sieur Spinoza” , “Sir Spinoza” (September 9, 1667, May 11 1668), and just “Spinoza” several times. He is also addressed in combination of “Spinoza et Monsieur Hudde” (Semptember 23, 1667); whether this is a sign of his diminishment in contrast to Mr. Hudde, or one of familiarity is hard to weigh. In fact it is hard to measure the full texture of the Jewish nomenclatures, some of which Nadler finds distinctly “contemptuous”. There very well may be social contempt in these, but the title “the Jew of Voorborg” may be a title Spinoza had somehow informally gained in circles, and not simply one of Christiaan’s invention, and though “our Israelite” may strike our eyes in a jarring fashion, it is difficult to parse out the affection from the diminishment, if indeed there is such. (To understand what Huygens means by “our Israelite” one for instance may have to anachronistically ask, Is Spinoza diminishing others when he refers to the “Brazilian” in his waking dream, as an “Ethiopian” [Ep. 17].) Because of these telescopic difficulties across centuries, at the very least I want to present the picture of the Huygenes social relationship to Spinoza as more complex and varied than what I assumed by reading the tale of these references without looking at them. And I wish to open the possibility that there was more social respect there, against the tremendous currents of the prejudice of the times, than otherwise would be assumed possible in a less nuanced reading, a respect that Spinoza had personally earned across social barriers. Petry’s point I am unclear on, for in the letters Spinoza’s optical (vs. craft) acumen does not seem to be in question. There seems to me to be clear evidence rather that Spinoza rather had collaborated with the well-respected mathematician Johannes Hudde on calculations for a 40 ft. lens (Sept 23, 1667), and that these calculations had perhaps influenced Huygens’ own calculations for even longer lenses. Perhaps Petry has in mind Huygens’ thoughts in his May 11, 1668 letter, where Huygens discusses his new eyepiece with Constantijn. Spinoza certainly had no knowledge of the optics of this eyepiece, or its principles, but if I am reading Huygens correctly, this is his proposed solution to spherical aberration using only spherical lenses (against a hyperbolic solution). Not only would Spinoza have no knowledge of these principles, neither would any other man in Europe, Johannes Hudde included. I am unsure if we could say that this was a “patronizing attitude”. I am certainly open to evidence to the contrary. 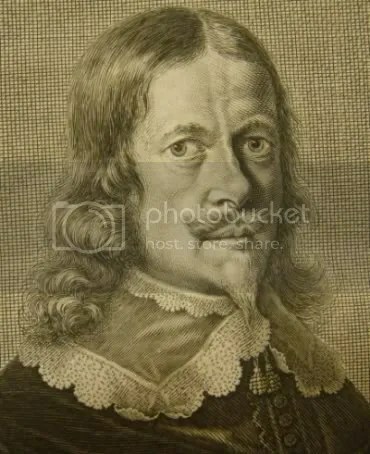 Others have suggested Christiaan’s warnings to Constantijn should keep quiet about his invented lenses, and not reveal them to Spinoza, proves that he regarded Spinoza to be a “competitor” in lens-making. I find this an odd, or perhaps incomplete conclusion. Christiaan’s invention simply was not ready to be made public, and he knew Spinoza to be at times in close contact with Oldenburg, the secretary of the Royal Society of London. Spinoza had kept Oldenburg abreast of the details of Huygens’s progress. There is a sense though in which Spinoza may have been a competitor to Christiaan. The Huygens brothers may have had an intimate relationship to lens-grinding, and there are signs that Constantijn grew cold to Christiaan’s instructions when Christiaan had gone to Paris. The lenses ground during the time of their separation are thought by Anne van Helden to have been entirely farmed out to craftsmen. If though Constantijn continued his conversations about optics and lenses with his neighbor Spinoza, having lost his brother partner to fame in Paris, indeed Spinoza may have represented, however slightly, an emotional threat to Christiaan. It seems, by several accounts, that Spinoza was an engaging man to talk with. Any disparagement we may find in these letters from Christiaan, insofar as we find it, I think should be understood within this context as well, that the brothers were extremely close on the subject and practice of lens-grinding. What is not mentioned is that this is the first sentence of a letter devoted to its theme of a compromise with Spinoza (and Hudde) over the issue of small lenses and greater magnfication). Far from being a sidenoteof the letter, Huygens has Spinoza’s argument in the forefront of his mind. What is also considered significant about this letter (and others like it) is the way that Spinoza is addressed. Here, at the end, not by his name, but as being called “the Israelite”, (and elsewhere as “the Jew”). This is meant in the eyes of many interpreters to signify the distance that Huygens kept between himself and Spinoza, implying that he is merely “the Jew” or “the Israelite” in letters. Indeed there were likely uncrossable social status barriers between the two, but the impression left by some that Spinoza was merely “the Israelite” is not deserved, for the very letter opens with his name and his overarching position. Other than these two much-traveled points, grafted from the letter, and others related to it, what I find most suggestive is that Spinoza’s position seems to be one shared with Johannes Hudde (they are paired at the end of the selection), and Huygens has responded to Spinoza’s point by with a compound microscope construction of a unique design, whose compromise magnification is measured at 30x. This leaves open the question as to whether Spinoza’s argument was for simple or complex microscopes (or both), but gives us a baseline from which to assesss the magnification achieved by Spinoza’s instruments, for they must be significantly greater than 30x. 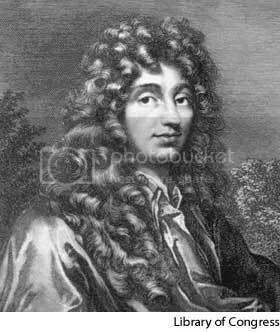 For those unfamiliar, Christiaan Huygens, was one of the most incandescent scientific minds of the 17th century (he invented the pendulum clock and discovered the rings of Saturn in the same year!). 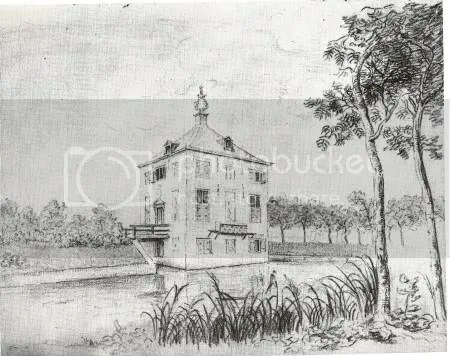 It is thought that Spinoza and he spent some significant time together in discussion between at least 1664 and the summer of ‘1665, as they were neighbors in the town of Voorburg until Christiaan left for Paris in the summer of ’66. At the time of the writing of this letter Huygens had already become the Secretary to the newly formed Royal Academy of the Sciences of France, and he write to his brother Constantijn Jr., who remained a neighbor to Spinoza. Constantijn was Christiaan’s partner in lens-grinding and instrument making, something that seemed to be a bond between them. Christiaan Huygens à Constantyn Huygens, frère. Il est vray que l’experience confirme ce que dit Spinosa que les petits objectifs au microscope representent plus distinctement les objects que les grands, avec des ouventures proportionelles, et sans doute la raison s’en peut donner, quoyque le Sieur Spinosa ni moy ne la scachions pas encore, mais aussi de l’autre costè il est certain qu’on distingue plus de profondeur aux objects quand l’objectif est moins convexe. 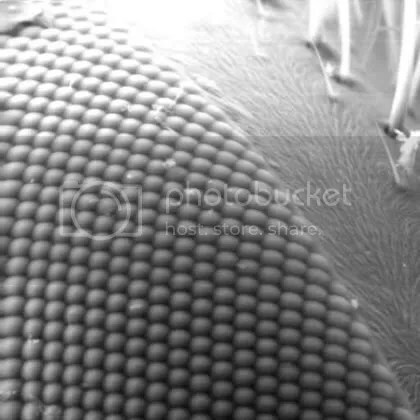 de forte qu’il faut tenir le milieu entre l’un et l’autre pour avoir des microscopes qui sassent uneffect agreeable, mais si on ne cherche qu’a grosser beaucoup il faut des petites lentilles. I’ay essayè vostre derniere proportion avec vos objectifs et deux oculaires joints l’un contre l’autre qui font un bon effect sinon que les points paroissent trop, et bien plus que lors qu’on n’emploie qu’un oculaire seul de 2 pouces, et la raison y est toute evidente, puis que l’un est de 3 pouces et l’autre de 2 ½. Il vaudroit donc mieux que l’un fut de 4 ou 5 pouces du premier, parse qu’ainsi les points de l’un ni de l’autre ne paroistront pas. Nostre anciene maniere avoit les deux oculaires si pres de l’oeil que cela empeschoit les points d’estre veus, a quoy contribuoit encore beaucoup l’ouuerture de l’objectif un peu grande. car estant petite et la multiplication forte, il est malaise que les points de l’oculaire pres de l’oeil ne paroissent, et le meilleur remede est de faire d’une matiere qui n’aye que fort peu de points. I’ay dans mon microscope un petit oculaire de 6 lignes, qui est de telle matiere, et aussi blanche que du crystal de roche; avec cela elle est fort bonne et souffe pour le moins aussi grande ouuerture que vostre petite que je vous renvoie. Je retiens l’autre pour faire des essays et vous en remercie. le poly est fort bon. Voicy les mesure de la vraye Campanine, avec la quelle j’ay estè comparer la miene, qui a cause de la grande ouverture que j’avois donnè a l’objecif estoit beaucoup plus Claire, mais en recompense un peu moins distincte que l’autre, qui en effect est un peu somber, mais, pourtant tres excellente. J’ay du depuis ester cy mon ouverture, mais cela fait paroistre les points des oculaires qui en sont assez chargez. Du premier au second oculaire. Du second oculaire au troisieme. Je prens tousjours du milieu de l’epaisseur des verres. Les 3 oculaires ont chacun leur distance de foier d’ 1 pouce 10 lignes. L’objectif est de 2 pieds 5 pouces. Toute la longueur de la lunette 3 pieds 3 pouces, qui est moindre de 4 pouces que la meine. tout est mesure de Rhynlande. Pour ce qui est de ma nouuelle methode de composer un petit cave avec un objectif, le ne trouve pas qu’il y ait de vos petites formes qui vous puissent servir. mais pour un verre planoconvexe de 2 pieds 8 pouces comme vous en saites, il saut un oculaire don’t l’une des superficies soit travillee dans un creux comme cettuicy [insert figure of a small concave-plano lens] dont le demidiametre soit 289/1000 d’un pouce, et l’autre sur une boule don’t le demidiametre soit 187/1000 d’un pouce, [insert figure of a circle approx. .6 cm in diameter] qui est telle, de forte que vostre lentille creuse sera de cette forme [insert a concave-convex figure, with two small protruding notches near the axis], et il faut tourner le costè convexe vers l’oeil. Cette lunette grossira 30 fois, er pour cela il faut travailler l’objectif un peu grand, a fin de luy donner grande ouverture. Le costè convexe doit estre en dehors. Ce composè, suivant la demonstration, doibt faire autant que les verre hyperboliques, parce que le concave corrige les defauts de l’objectif qui vienent de la figure spherique, c’est pourquoy je ne puis pas determiner l’ouverture de l’objectif qui peut ester pourra ester 3 ou 4 sois plus grande qu’a l’ordinaire, mais si nous la pouvons seulement faire double ce fera beaucoup gaignè et la clartè sera assez grande pour la multiplication de 30. L’oculaire ne doibt avoir qu’une petite ouverture et qui soit prise justement au milieu. Il n’est pas necessaire de vous recommander le secret. et quand mesme l’invention ne reussiroit pas je ne voudrois pas que vous en dissiez rien l’Israelite, a fin que par luy, Hudden ou d’autres ne penetrassent dans cette speculation qui a encore d’autres utilitez. [I post this letter for two reasons. Firstly, its body should be made easily available to others researching, or even thinking about Spinoza and his place amid 17th century sciences. It is an informed, first-hand response to a theoretical position that Spinoza held. Secondly, and unfortunately, because my French is nearly non-existent, aided by software and careful thought. It is my hope that someone would be moved so as to accurately translate the text into English (or another language for that matter), which we may be able to post as an effective and accurate on-line source. Perhaps even the donation of a paragraph or so by individuals, so that this would be translated by community would be interesting. My email is kvdi@earthlink.net . And this is how I have read the citation as well, not having access to the original context. But some questions arise. Does this admission allow us to conclude that Spinoza was specifically making compounded microscopes, the kind that Huygens favored? Or are “objective” lenses to be understood to be lenses both of single and compound microscopes. What makes this interesting is that if we accept the easiest path, and assume that Huygens is talking about compound microscopes, then there may be some evidence that clouds our understanding of what Huygens would mean. It is important that Hudde is not only championing smaller objectives, he is attempting to persuade Huygens that the very small bead-lenses of simple microscopes are best. Hudde had this technique of microscopy from as early as 1663, perhaps as early as 1657, and he taught it to Swammerdam. In the context of these letters, apparently written just as Huygens and Spinoza are getting to know each other in Voorburg, Huygens’ 1668 brotherly admission reads either as a distinct point in regards to compound microscopes, or signifies a larger concession in terms of his debate with Hudde. There are some indications that Hudde and Spinoza would have known each other in 1661, as they both figure as highly influential to Leiden Cartesians in Borch’s Diary. And Spinoza was a maker of microscopes, as Hudde was an enthusiast of the instrument even then. 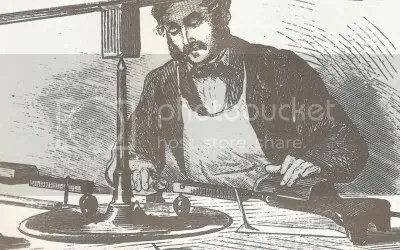 It makes good that there would have been some cross-pollination in the thinking of both instrument maker’s techniques in those days, but of this we cannot be sure. Against the notion that Spinoza has argued for simple microscope smaller objectives with Huygens is perhaps the compound microscopes achieved by the Italian Divini. Divini, in following Kepler’s Dioptice, realizes a compound microscope whose ever descreasing size of the objective increases its magnification. I believe that there is good evidence that Spinoza was a close reader of Kepler’s (see my interpretation of Spinoza’s optical letters: Deciphering Spinoza’s Optical Letters ). 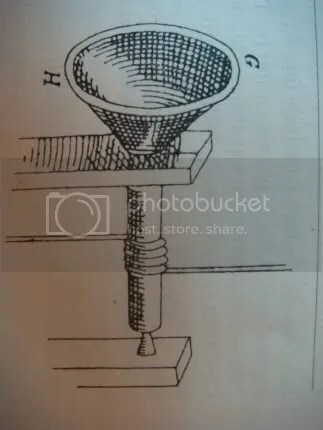 If Spinoza was making compound lenses, and he had argued with Huygens that the smaller the objective the better, it seems that it would have been the kind of microscope described below, following the reasoning of Kepler, which he would have made. Divini was an optical instrument-maker who established himself in Rome in about 1646 and eventually achieved note as a maker of lenses and telescopes. 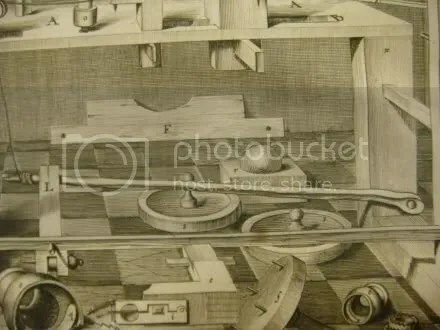 In a work on optics published in Bologna in 1660 by Conte Carlo Antonio Manzini, the author describes a microscope which Divini had constructed in 1648, based on Proposition 37 of the Dioptrice of Johann Kepler. This was a compound instrument which utilized a convex lens for both the eye-piece and as the objective was reduced so were the magnification and the perfection of the instrument increased (386). One form consisted of a combination of four tubes, made of cardboard covered with paper. Each tube was slightly larger than the previous one, and slid over the former. An external collar at the lower end of each tube served as a stop to the next tube. The ocular lens was enclosed in a metal or wooden diaphragm attached to the uppermost end of the largest tube. The object-lens was likewise enclosed in a wooden or metal cell and attached to the bottom of the lowermost or smallest tube. The rims of the external collars were marked with the digits I, II, and III, in either Roman or Arabic digits, which served as keys to the magnification of the various lengths as noted on each of the tubes. 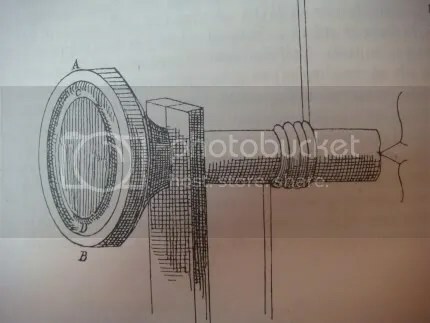 The lowermost of the tubes slid within the metal socket ring of the support and served as an adjustment between the object-lens and the object. The instrument was supported on a tripod made of wood or metal. 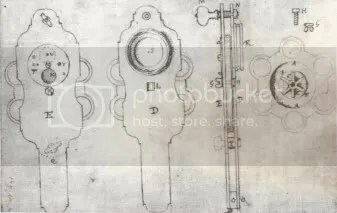 It consisted of a socket-ring to which three flat feet were attached (384). (Pictured left, a 1668 microscope attributed to Divini):The socket-ring and feet are flat and made of tin, and the cardboard body tubes are covered with grey paper, with the digits 1, 2, and 3 inscribed on the collar tubes. The lowermost tube slides with the socket-ring for adjustment of the distance between the object-lens attached to the nose-piece in a metal cell, and the object. The ocular lens is enclosed in a metal holder at the upper end of the body tube. It consists of two plano-convex lenses with the convex surfaces in contact. 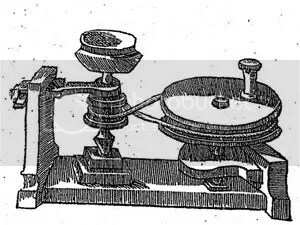 The original instrument had a magnification of 41 to 143 diameters. The instrument measured 16 1/2 inches in height when fully extended and the diameter of the largest body tube was 1 1/2 inches. A replica of this instrument, accurate in every detail, was made by John Mayall, Jr., of London in 1888 (385-386). This 16 1/2 inch compound microscope indeed may not have been the type that Huygens’ comment allows us to conclude that Spinoza built, but it does follow a Keplerian reasoning which employed the plano-convex lenses that Spinoza favored in telescopes, one that imposed the imparitive of smaller and smaller objective lenses. It is more my suspicion that Spinoza had in mind simple microscopes, but we cannot rule out the compound scope, or even that he was thinking about both. Futher, Spinoza’s favor of spherical lenses and his ideal notion that such spheres provide a peripheral focus of rays (found in letters 39 and 49), seems to be in keeping with the extreme refraction in smaller objectives in microscopes, although he attributes this advantage to telescopes. More than in telescopes, the spherical advantage in conglobed, simple lensed microscopes, would seem to make much less of the prominent question of spherical aberration. But in the case of either compounds or simples, the increase curvature, and minuteness of the object lens would fit more closely with Spinoza’s arguments about magnification, and Descartes’ failure to treat it in terms other than the distance of the crossing of rays. What happened, briefly is the following. 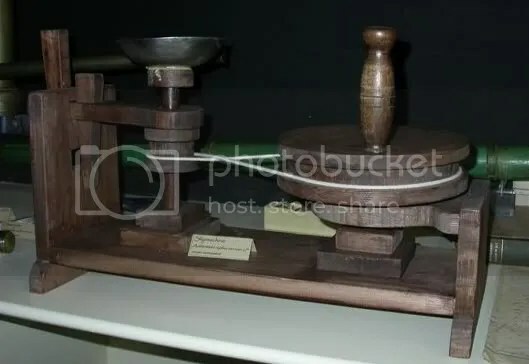 In January 1675 Huygens invented a spiral balance spring; an invention which was as vital to portable timekeepers as the pendulum had been for stationary clocks. 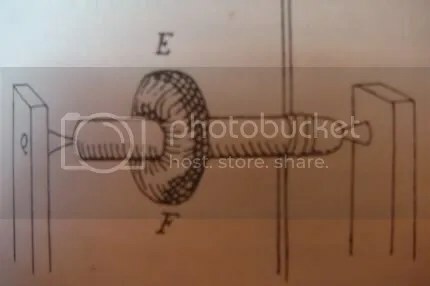 He promptly went to Thuret to have a model made, in order to apply for a patent. Thuret made the model, but after Huygens left he made another one for himself, with the aid of which he managed to apply for a patent before Huygens did. Huygens was furious about this breach of confidence, and no doubt Thuret did behave very badly though one should remember that we have only Huygens’ version of the matter, and there were a number of important people in Paris who thought that Thuret’s behavior was not quite so unforgivable. And indeed, without distracting in any way from the importance of Huygens’ invention, perhaps this is something to be said for Thuret. 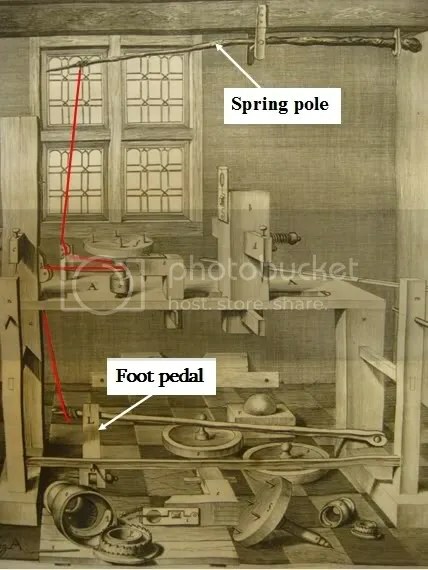 When one looks at the first sketches Huygens made of his invention it is clear that the first two (figure 2) differ in a number of details from the next (figure 3): there is a dumb-bell balance, and the spring sits in a small box between the plates where it will be in the way of the ‘scape wheel. In the subsequent sketch, which dates from a few days later, these details have been corrected. It seems possible that on other occasions, too, Thuret had put Huygens’ ideas into a more workmanlike shape, and it must have irked him to be constantly in Huygens’ shadow…The reason Huygens gave for his anger is interesting: he said that over the years he had come to regard Thuret as a friend (228). While this is certainly at the surface a story of the appropriation of Huygens’ brilliance by another, it shows the fluidity of invention, and the likelihood that Huygens’ abstract and mathematical mechanizing thought process regarded the details of a device less significant than his overall idea of it. Further, we have seen that in his 1678 dealings with Hartsoeker over the microscope that the minimization of the ideas of others, whether malevolent or not, was a tendency in Huygens’ character. What this means for the possible appropriation of any design ideas he may have gained from the purchase of Spinoza’s estate and any instruments included there is hard to say, other than that it would probably be with some ease that he would add the ideas of a recently deceased friend and instrument maker. 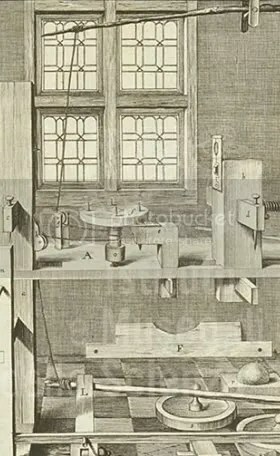 Further, Leopold’s article generally shows Huygens to be disconnected from the history of the device he turns his inventive mind to, unfocused on the actual mechanism and problem solving focus that a craftsman’s view gives, making the problem solving ideas of others perhaps necessary to both the priming-of-the-pump and the materialization of his remarkable mechanistic intution. I post here a portion of a hard to find book, in the interest of establishing a baseline of information for others. Because this site has involved a variety of hypotheses on the kinds of influences Spinoza may have had, all should be sketched out as best we can. Among my thoughts as to the mystery of where Spinoza may have learned his lens-grinding craft, apart from any guild commitment, it occurs to me that he may have learned it, at least in part, through his involvement with the diamond trade. There is some evidence that Spinoza had dealings with gem dealers in the years 1655-56, in fact the scuffle and suit of Antonij Alverez shows that he and likely his family business had dealings with one of the largest Amsterdam diamond trade names, Duarte. 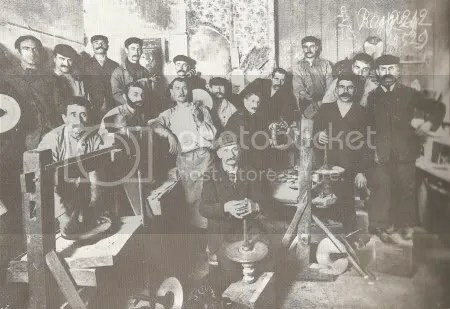 Whether this engagement with the gem business led his curious mind into learning about the process of gem and diamond polishing from which he may have taken valuable techniques into his lens-grinding (using diamond dust as an abrasive) at this point we cannot say. All we can do is put the fact that Spinoza had unique skills, techniques and likely instruments for lens-polishing, as testified by Christiaan Huygens, and speculate if these come from an origin that would be specific to his Jewish community. These may have been techniques specific to gem polishing, a process which the Jews of Amsterdam predominately came to rule over, or they may have been specific to Jewish lens-grinding. In either case it may serve us well to lay out the facts of Jewish diamond trade during Spinoza’s young adulthood. At the very least such facts give us a broader picture of the time and place Spinoza grew up in, and one of the lathe-processes he would have at least in a cursory fashion been exposed to. We hear of Jewish masterpolishers only from 1611 onwards. A notarial certificate from the year deals with a contract between Jewish diamond polishers who were trained by gentiles. A document dated 1615 mentions that one named Solomon Franco had finished his apprenticeship as diamond polisher with a certain craftsman named David Bolshnik. Additional sources in the first quarter of the 17th Century inform us about another dozen names belonging to Jews of Portuguese origin who were experts in diamond polishing. As a rule these craftsmen were poorer distant relatives of the merchants who imported the rough stones thus ensuring themselves employment and a decent income. For example, we know about the two famous families – Correal and Duarte de Paz – who gained their reputation as jewelers and diamond polishers in the 17th Century. The waves of Jews who fled persecution from Germany and later the Jews who fled Poland and Lithuania after the massacres of 1648/9 lead to an influx of refugees lacking in means and profession to Amsterdam. Consequently, the social structure of the diamond industry underwent a gradual change; the Portuguese traders, the polishers and the jewelers became production managers who provided work for their Ashkenazi brethren who, to an increasing degree, constituted the working class. In spite of the scant documentation of the period, it seems that the Portuguese Jews preferred their “Pollak” brothers over their gentile fellow-workers. It was their intention to teach them an “honorable” trade which would provide them with a reasonable income and standard of living. It is interesting to consider what Jews saw in the polishing trade that made it so attractive to them. 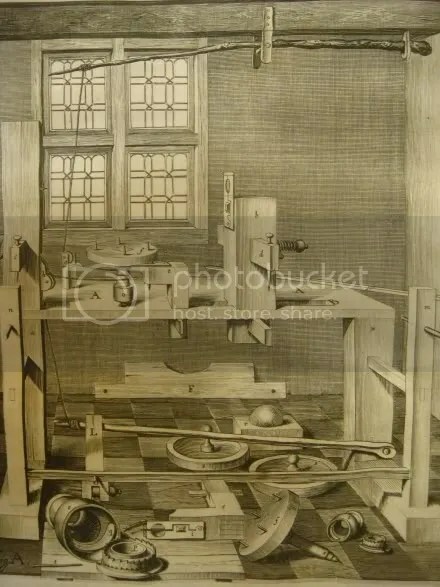 On a copper engraving by the Flemish artist Jan Luyken (1649-1712) a typical diamond polishing workshop is shown. It was a rather small room, dark and stiffling. The polisher stands near the polishing wheel and places the stone on the leaden head at the end of the polishing handle. Time and again he changes the position of the stone, each time choosing a different angle on the spinning iron wheel coated with diamond dust. The rotation of the wheel is affected by a transmission belt connected to a horizontal drive wheel. A notarial certificate dated 1615 mentions that the Portuguese Jews employed gentile women to rotated the drive wheel; this it the first written testimony to a female work force in the diamond industry. The Jewish polishers of Ashkenazi origin who were unable to employ gentile women had to employ their own wives and children to operate the wheel. Thus, day to day, from dawn to nightfall, the whole family labored 12 to 15 hours a day to make a living. 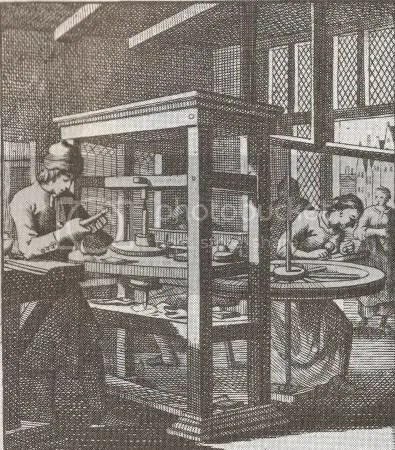 …Among all the occupations that flourished in the Jewish quarter of Amsterdam, such as peddling, printing, dispensing and others, the trade of “Diamond-schleifer” – Yiddish and Ladino word for diamond polisher -became “The Trade.” Every Jewish mother strived for her son to learn this trade which ensured him a secure future, a good livelihood and economic independence, but, above all, great mobility on the social scale. To become a craftsman required a very high tuition fee (69-225 florins) collected by the master polisher. The training period to be an expert in all the stages of processing in the old fashionable shapes (heart, almond, rose-cut and brilliant), lasting from 15 months to four and a half-years. Rough stones of good quality required only few preparatory stages before the polishing process: cleaving or sawing, (dividing the stone in two), and cutting, (rounding off the base). These operations were also taught by the master and only towards the 18th century can one observe the specialization in ancillary trades connected with the polishing (44-45), (Simona Edelman). Aside from the thin hypothesis that Spinoza have have learned something from the diamond polishers of his community, there are significant facts in this brief piece. Unfortunately the text is not footnoted, so it is unclear what is an author’s conjecture and what has foundation. There is the idea that the Sephardic Jews had learned this trade from gentiles in the early part of the 17th century in Amsterdam. Henriëtte Boas places these to be Huguenot refugee’s from Antwerp, establishing one more Jewish and Protestant Reform attachment. (Yet I have also read that these techniques likely arose through a direct transmission with India, from whence the diamonds came.) Next we have a cost and a timetable set out for learning the trade. This gives clue to a non-guilded craft relationship, and may reflect upon lens-grinding as well. It is helpful to know that in 15 months a skill such as this one could be acquired for a fee. Interesting is the shift in labor distribution in the decade leading to Spinoza’s majority, as Ashkenazi started to form a “working class” in the diamond trade. One wonders if such an influx may have also opened the door to Spinoza learning lens-grinding in his community outside of the usual transmissions of knowledge, since economic relationships were changing. Additionally, we hear of the diamond dust and flat iron wheel, a material technique not mentioned in any of the lens-polishing techniques I have read in the period. Could it be that there is some improvement offered by this means? The leaded head in diamond grinding (pictured below), actually presents a semi-automated system of grinding that pre-dates any assisted lens-grinding of the time. 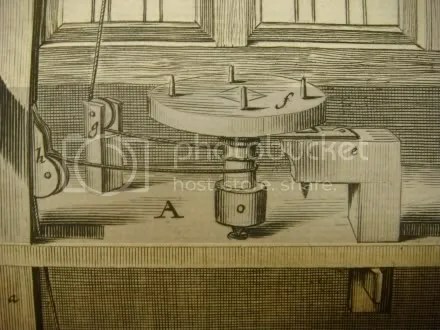 Could the diamond-polisher’s example, (aided by the fact that he needed to make plane-cuts, and not spherical), have been the inspiration for some of the semi-automated ideas for lens-grinding, such as those by Christian Huygens, D’Orleans and Hooke? (And, is Spinoza’s rejection of assisted polishing related to the spherical shape itself, feeling that the hand bests can feel a spherical relation?). And lastly, the wheel is quite distinct from a lens-grinder’s wheel, in that the grinding is done at the edge, and not in a bowl form. Would this kind of wheel use have helped grind certain small sized lenses? Enough with the conjecture for the moment. It strikes me that there is a subtle, yet important contrast between the single lens microscope that Christiaan Huygens ended up offering by the Fall of 1678 and the design which was consistently used by Van Leeuwenhoek, a contrast that points up a branching out of conception of the relationship between instrument and observation, one that perhaps help position Spinoza’s own view of lens use. 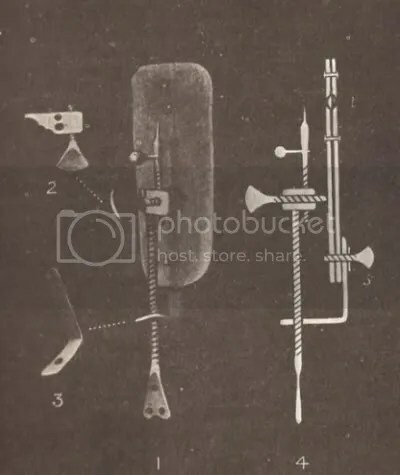 This contrast is a small point, but I think that the kind of looking that Van Leeuwenhoek was famous for, the intensified examination and preparation of the moment of witness, came out of his conception of device and specimen. And Huygens’s incredibly rapid development and “improvement” of this device, marks a difference in the act of looking, a mechanized and rotational expression of specimen interface, one where the device stands as a kind of medium between the facts of the world (and not a particular event) and an investigating mind. I make no judgment of course between these two conceptions, other than to say that their contrast perhaps provides a backdrop upon which Spinoza’s conception of lensed observation may be made more clear. He looked somewhat obliquely at Huygens’ complex machinery of automated ends (again, Letter 32), perhaps sensing that the means of witnessing color and shape help establish the quality of what is seen. 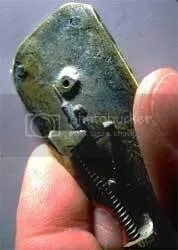 The Huygens “enhancement” of the Van Leeuwenhoek design, the speeding up of the relation between the witness of one specimen and another, and they bodily experience of an intricate, mechanized interface with various phenomena, marks out a significant difference.